The Schgaguler is situated in the skiing area Alpe di Siusi and in the immediate vicinity of the skiing area of Val Gardena. 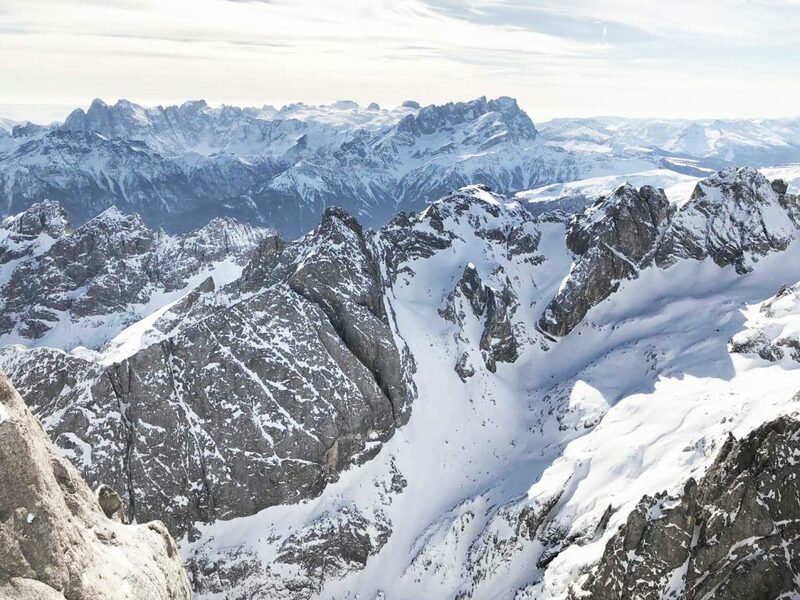 Three to four times a week Gottfried Schgaguler accompanies our guests on skis through the Dolomites. Three to four times a week our guests are accompanied by Gottfried Schgaguler on various ski safaris. We adapt the program of excursions to the wishes of our guests. Among the organized ski safaris are the Sella Ronda and the mountain hunter’s round which cross the whole Dolomite area. On the various excursions you will be taken to the most beautiful and best ski huts to stop for refreshments. The retreat becomes a culinary experience. You can request your ski pass directly at our reception and we will issue it for you. Rent & purchase your equipment at discounted rates from our partners in Castelrotto. We are happy to arrange your equipment for you before your arrival. 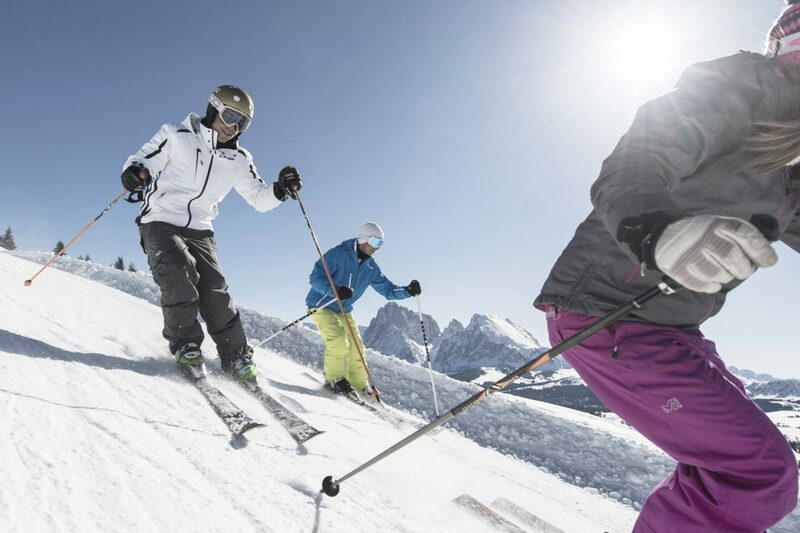 Ski the entire Dolomiti Superski ski area without stress and with priceless insider tips. The ski bus stops in the immediate vicinity of the hotel and takes you to the lifts every 10 minutes. 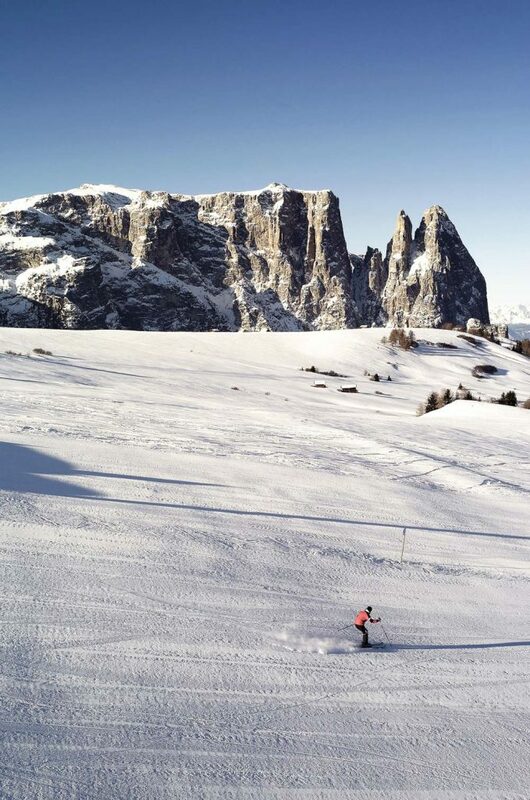 The skiing area Alpe di Siusi can be reached from the hotel in only five minutes driving time. The ski bus, which starts in the immediate vicinity of the hotel, departs every 10 minutes to the lifts of the Alpe di Siusi. 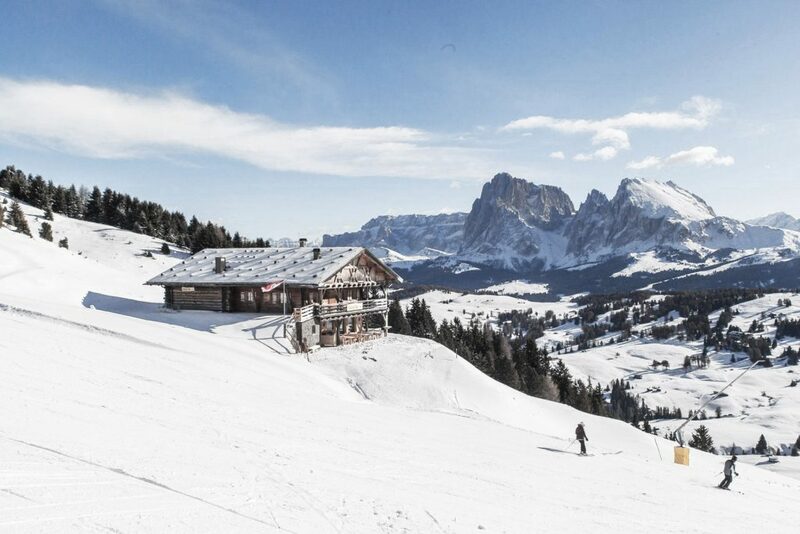 Characterized by the slightly flatter slopes, the sunny location and the extensive culinary offer the Seiser Alm is the ideal skiing area for families and pleasure skiers. 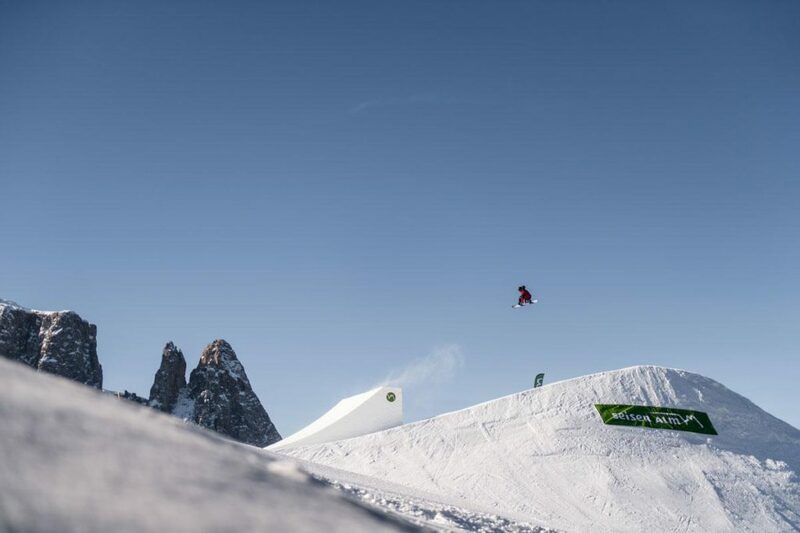 The Alpe di Siusi ski area also enjoys a legendary reputation among freestyle fans: the Alpe di Siusi Snowpark is one of the best snow parks in Italy and offers 1. 5 kilometers of variety for beginners and professionals. 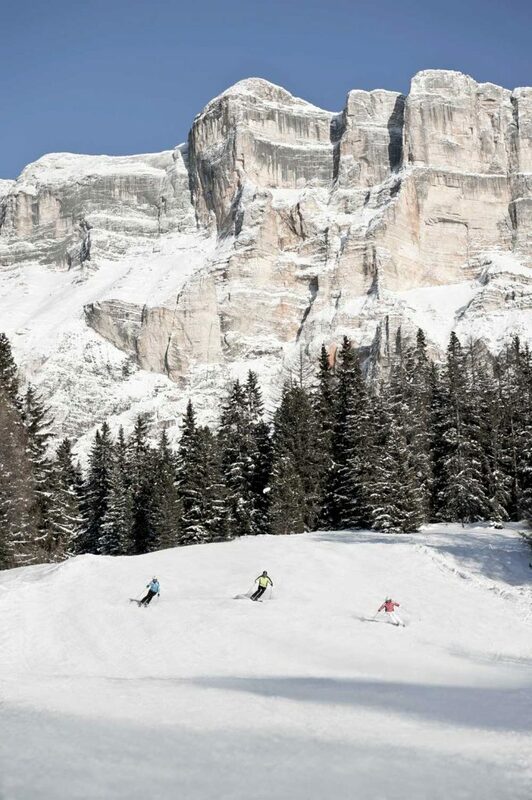 The ski area Val Gardena relates to the Alpe di Siusi and therefore easily accessible from the hotel. This ski area is characterized by its steeper slopes and is therefore the ideal destination for experienced skiers. Together, the two ski resorts have over 80 mountain railways and 175 km of slopes for every level of difficulty. The professional ski schools on the Alpe di Siusi offer daily group and individual courses for beginners and advanced skiers. There is also a wide range of courses for children. We will be happy to help you organize your courses and take them over for you.